Pollution Summary from: The Buzzards Have Landed! Welcome to my website providing historic information about the Flambeau Mine near Ladysmith, Wisconsin for the time period of 1975-2014. 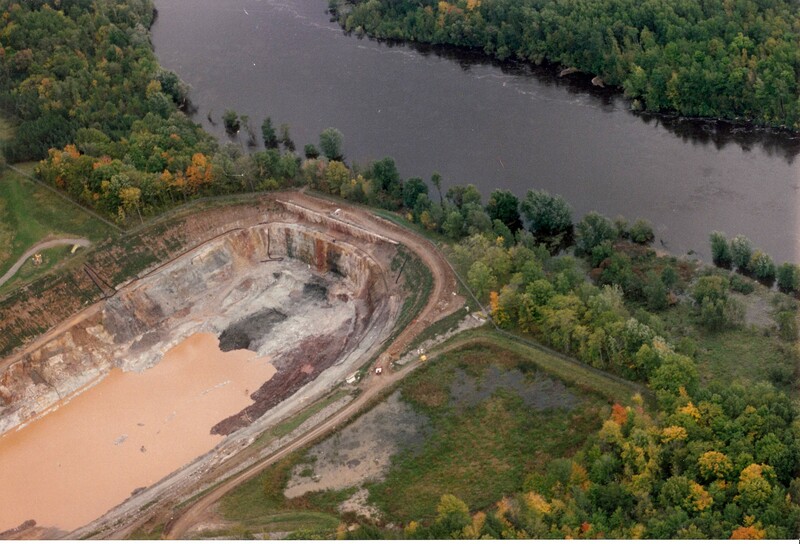 The Flambeau Mine (a Kennecott/Rio Tinto project) operated on the banks of the Flambeau River near Ladysmith, Wisconsin in the mid-1990s. This photo was taken in 1994 when the river flooded during heavy rains and came within 20 horizontal feet and 4 vertical feet of spilling into the mine pit.